More than 14.3 million people visited Fort Lauderdale in 2014, spending $11.4 billion in the local economy. There are six beaches – Fort Lauderdale, Hollywood, Deerfield Beach, Pompano Beach, Dania Beach and Lauderdale-by-the-Sea, respectively. Fort Lauderdale is a city on Florida’s southeastern coast. It is a popular tourist destination, principally because of i its beaches and many canals for boating. The Fort Lauderdale Strip is a popular promenade which runs along oceanside highway A1A and is just two miles north of Port Everglades. It was known for wild college spring break parties in the 60″s, 70’s and 80’s. Today, however, visitors include families and couples, international travelers, all arriving in Fort Lauderdale to visit the arts and culture scene which has blossomed here, as well as to check out the Strip – full of upscale restaurants, bars and high-end, luxury hotels. From shopping on Las Olas Boulevard, to gondola rides on the canals, to a historic riverfront, Fort Lauderdale is the ideal place to visit if you are looking for warm weather, outdoor activities and culture. The Stranahan House, a preserved 1900s home furnished with antiques of the era, is a popular visiting spot for tourists and as well as locals. The Riverwalk is a great place for a stroll through a landscaped park, to the Arts and Entertainment District. Blue Wave-certified sands is a three-tiered living coral reef system just off the coast of Fort Lauderdale, and more than 76 artificial reefs that have made this one of Florida’s most popular dive destinations. Snorkelers can swim a few hundred feet off shore to reefs that begin at less 15 feet in depth in places like Lauderdale-By-The-Sea, just south of the Pier at Commercial Boulevard, or at Greene Street, north of Hollywood’s North Beach Park, or John U. Lloyd Beach State Park in Dania Beach. Port Everglades, which is in Fort Lauderdale, is among the world’s busiest cruise terminals. Thousands of tourists visit Fort Lauderdale every year to enjoy a Cruise out of Port Everglades in Fort Lauderdale. Florida has become the third most active gambling state in the nation, and Fort Lauderdale is the epicenter of this activity. Pari-mutuel betting venues and casinos join the excitement of traditional table games. 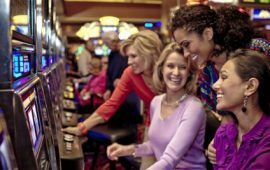 Slot machines, horse, dog and harness racing, jai-alai – can all be found in Fort Lauderdale. Outdoor fun and games notwithstanding, Fort Lauderdale offers an outstanding quality of life. With it’s semi-tropical climate, rich natural beauty and array of cultural, entertainment and educational amenities, you’d be hard pressed to find a better place to live in South Florida. An abundance of sunshine year round and pleasant year-round ocean breezes, world-famous Fort Lauderdale offers premier opportunities for recreation, relaxation and enjoyment. This is a good place for the intellectually inclined too. Downtown Fort Lauderdale is home to Broward Community College, Florida Atlantic University, Florida International University, the award-winning Broward County Main Library, federal, county and school district offices.